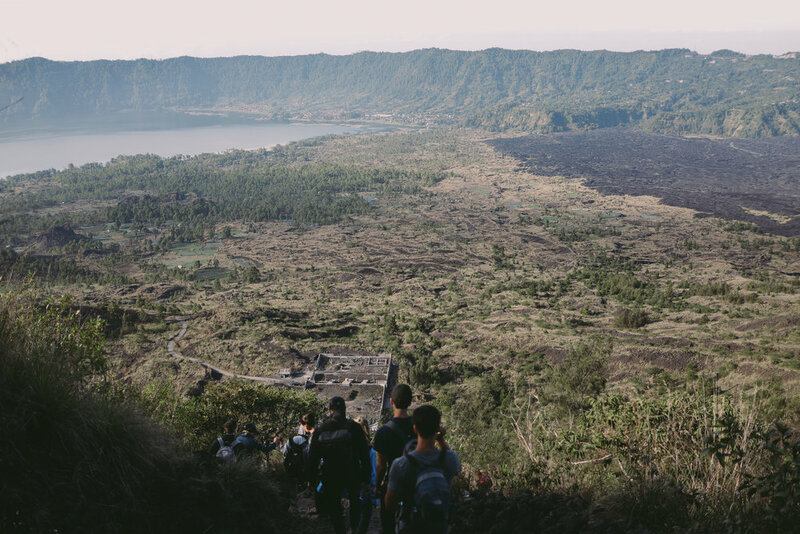 Mt Batur Sunrise Trek | Bali, Indonesia — Journal by jysla kay. 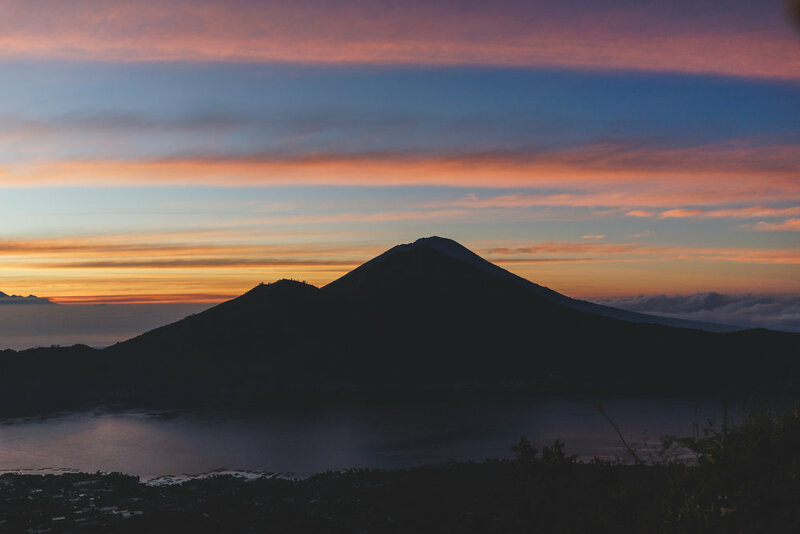 Mount Batur (Gunung Batur) is an active volcano in Kintamani District, Bali, Indonesia that is 1717m above sea level (~700m elevation gain). I have to wake up at 2am?! But I did do it and in retrospect (many weeks after), I'm glad I did. Figuring that it would be cheaper to book in person, rather than online, we booked our tour the day before for 300,000 IDR per person (around $30 AUD). Walking along the main street and asking a few different places for their tour prices - this seemed to be the standard price (some websites quote $60 USD online for the exact same itinerary!). Most packages will feed you: we had tea/coffee with banana fritters as a pre-trek snack and a 'breakfast' box (2 slices of white bread, boiled egg and banana) that we had to carry with us to eat once we reached the summit. I'm definitely bringing other food next time as a backup (like spicy beef jerky mmm). It should also include pick up and drop off. The first 20 - 30 mins of the trail is fairly easy and flat but it quickly turns into a steep, slippery nightmare of loose rocks (even people in hiking boots weren't saved). It's not the easiest trail, but people of all fitness levels were doing it. On a scale of 1 to 10, it's around 6.5. Shoes ranged from hiking boots to Converse and a few people even wore jeans. We reached the summit in just under 2 hours at a steady pace, with a few breaks in between. 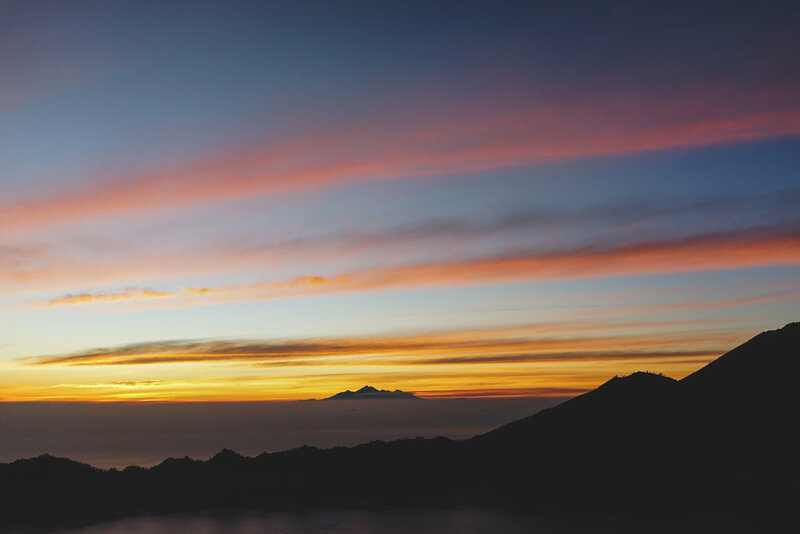 It's recommended to bring a jacket as it can get quite cold at the summit. I wore a long sleeved top over my singlet but nobody mentioned that I would need something closer to a freaking down jacket. People in shorts and hoodies looked perfectly content and warm while I was shivering uncontrollably. It hadn't even crossed my mind how cold it could be, thinking that by the time I reached the top - I'd be sweating (I was, but the sweat combined with the wind just made it even colder). If you get cold easily, bring something that will keep you warm. The freezing temperature aside, the sunrise truly was breathtaking. Not an opportunity to reflect and admire in silence though—the loud conversations and laughing were a reminder that we were surrounded by dozens of people. The promise of coffee and hot chocolate (~$3-4 at the summit was something to look forward to but once we saw them scooping it out of not-so-hygienic-looking buckets in a dark, damp room, we almost reconsidered (almost, because it's not everyday you drink hot chocolate while on an active volcano in a different country watching the sun rise). The view was stunning the entire way down and it didn't take long for the sun to warm us back up. I'm not in a rush to do another sunrise hike anytime soon, but I'm open to the possibility sometime in the future. I imagine that with better planning (thick jacket and food... maybe a thermos of coffee mmm), waiting for the sunrise could be more relaxing.